You've had your time in China, you've got your memories and experiences, but you've also got a new furry friend you'd like to take with. Here's a step-by-step guide on how to relocate your pets back to whence you came. So you’ve adopted Mr. Puddles, the one-eyed feline street-veteran that you found under a Saab in your apartment complex, but now you’re leaving Shanghai. What do you do? Well, if you wanted to take the cat, a.k.a. Master of Disaster, with you, here is a detailed walk-through on how to do just that. And if you’ve got a dog too, this all applies as well. Be sure to choose a day with mild weather. Dr. Grace recommends traveling during dates with less extreme temperatures to avoid heat stress or more serious complications. This happens more often than you might think and airlines are aware of it. Delta, for example, has a pet embargo from May 15 through September 15 that prevents pets from traveling as cargo during the hot summer months. However, you will be okay weather-wise if your pet is small enough to travel in the cabin. 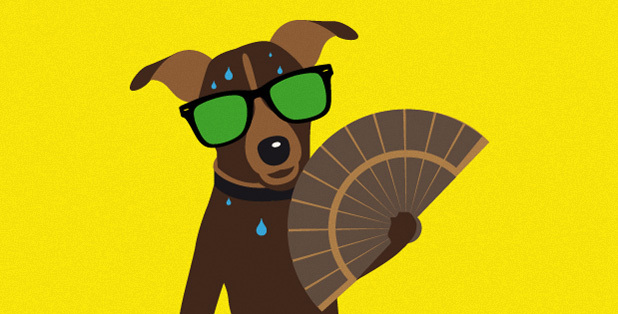 Definitely plan your trip early so you have enough time to complete the requirements, which may take several months -- more on this later, and also try to depart when weather conditions are right for traveling pets. 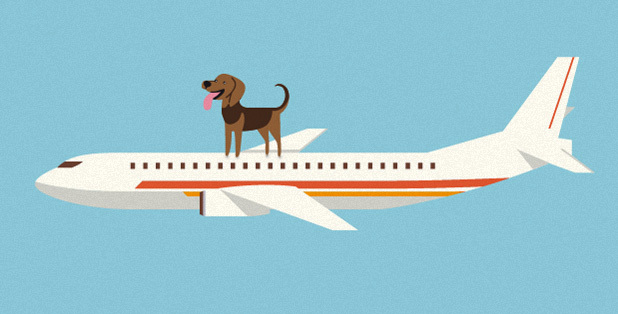 Every airline is different -- some are expensive, some are cheap, some have strange rules, all have breed limitations, and some don’t even offer pet travel. We recommend that you call up the airline you want to travel with before you book a flight to find out if they can accommodate you. You could book the flight first, then call to reserve a spot for your pet, but if it turns out that your flight can't take the pet (for whatever reason), you'll be stuck with having to purchase another ticket. One of the most important things to get right is the dimensions of your kennel or shipping crate. It needs to be big enough to fit your pet, and it needs to be small enough to meet the aircraft's size requirements. Generally speaking, to fit your pet, the carrier needs to have enough room for the pet to stand up, turn around, and lie down with natural comfort, and it needs to be well ventilated and leak-proof. You will be able to use large carriers if you are checking your pet as baggage to be placed in the cargo hold, but there are still size limitations, and they are different for each airline. For in-cabin travel, the kennel will need to be small enough to fit underneath the seat before you and so the size requirements will sometimes depend on the aircraft. Weight limits differ widely, however. Korean Air’s weight limit including the kennel is 5kg, for Lufthansa it’s 8kg. Delta has no weight limit as long as the kennel fits under their seats, unless you want to put two cats or dogs in one kennel, then it’s 9kg. You can only bring one kennel per person, which can fit up to two cats or two dogs if they are small enough and of similar age. All airlines also have a limit on the number of pets allowed in-cabin, and it’s usually around 4-6 pets per flight. So call in early to check if a spot is available for your pet before you purchase a ticket. The cost for a one-way flight for a pet, both in-cabin or cargo, is around 100 to 200(USD) depending on the airline, in addition to your ticket. 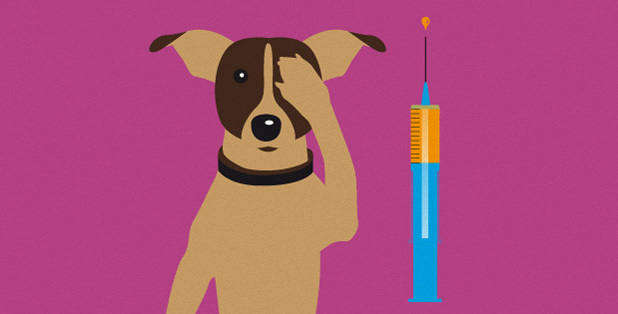 Your pet needs to be vaccinated at least 30 days to before your departure date for most countries, and it needs to happen at the government certified Shenpu Pet Hospital. They’ll also implant a microchip that will be used by your destination country to identify and match your pet with the rabies records. For this service, Shenpu charges 520rmb for dogs and 480rmb for cats. There are a few Shenpu subsidiaries where you can get the rabies shot, but Dr. Grace advises that you do it at the main location at 565 Xujiahui Lu. They’ll give you an official booklet that is internationally recognized and will prove you got the rabies vaccine. This is something you may have trouble getting at the smaller locations, and no other veterinarian clinic other than Shenpu is certified to do this. Unless you’re going to North America, you’re probably going to need to get a rabies blood test done. Shenpu can do this for you and so can PAW Veterinary Clinic and other pet clinics. It’s not cheap though—2,750rmb at Shenpu. 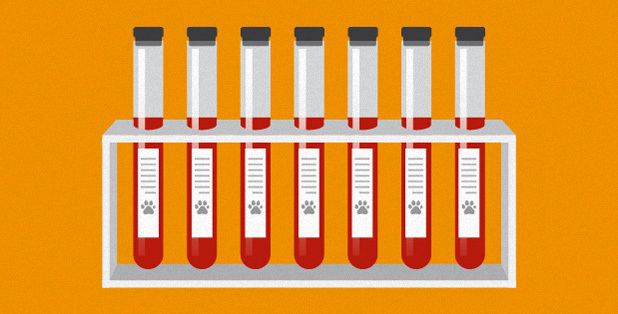 They draw the blood and send it to a designated testing facility that will check to make sure the rabies antibodies have reached the appropriate levels in your pet’s blood. The process takes 6-8 weeks to complete and for some countries such as the UK, the pet can’t leave China for another 3 months from when the blood is first drawn. The rules and requirements for every country are different. To name a few: Australia requires that the pet spend six months at an approved country (and China isn’t one of them), the UK and Finland require dogs to be treated against tapeworms, and Japan requires a six month probation period after the rabies vaccine. Dr. Grace stresses that it is extremely important to “triple” check your destination country’s requirements because each country has it’s own pet import requirements, even in the same regions such as the EU. These requirements can generally be found on the destination country’s government website and usually a phone number is listed there too which we encourage you to call. Before you leave, you’ll need to go to Shenpu one more time and have your pet go through a final health exam, but it’s just a simple physical. This needs to happen exactly 7 days before you depart. Not before or after. It’s open 24/7 so the hour you go isn’t important, just make sure you get in that day. Bring your passport, flight ticket, and vaccine record on the day of. This will cost you another 600rmb for dogs and 650rmb for cats. 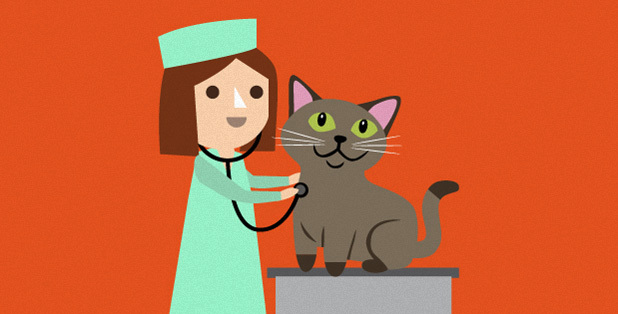 If your pet passes the health exam, it’ll take another 4-5 days for the paperwork to process before you can go to the Customs Building to pick up your Health Certificate that says your animal is fit for departure. The building is located at on the Bund at Haiguan Da Lou, No. 13 Zhong Shan Dong Yi Lu. Humans and animals alike, not everyone is suited for flight. If you need sedatives to get in a compact space that rockets into 30,000 feet above ground, your pet might need them too. Speak to your veterinarian before leaving and make sure your pet has the right medicine for the flight. 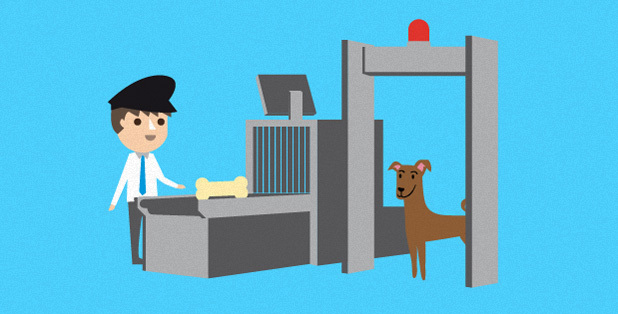 If you are taking your pet with you in-cabin, you’ll also have to take it through security. It’s pretty standard procedure. Take your pet out of your carrier and run the carrier through the x-ray. At some point they’ll want to see your papers, or maybe not as it was in the case of Cliff Champion, an American on his way back to the U.S. with his cat, Noodle. When I got to customs I gave him my passport, ticket, and the piece of paper; I had all of my other documents handy but he told me he didn't need to see them, which was honestly a bit perplexing. I went to the security line and the people there told me to take my cat out of the carrier so that they could put the pet carrier through the x-ray scanner. I explained (in Mandarin) that I was concerned that the cat might run away, and they (very kindly) took me to a private place where I could take her out of the carrier without worrying that she would run away. They came back telling me that everything checked out, but they still didn't want to see her papers. I got on the plane and put her under the seat in front of me, and 15 hours later we were in NYC. This was the part I was quite anxious about as I was in no mood to turn around and take another 15-hour flight to Shanghai because I lacked the proper paperwork at US customs. I went through customs, and mentioned to the customs officer that I had the cat. He turned to his colleague and yelled "Hey Joe, do we check cats?" "Nah, only dogs." He smiled, stamped my passport, and said, "Welcome to America." This was the most confusing part. No questions. No examinations. No paperwork. We don’t expect your experience to be that smooth. But wouldn't it be nice? If all the above sounds like a hassle, you could always pay someone else to do it for you. 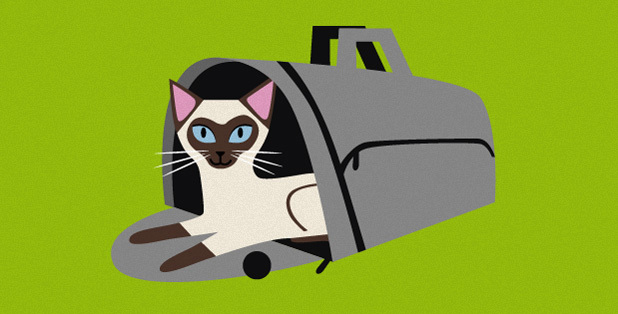 That’s where Pet Relocation agencies come in, but they don’t come cheap. They’ll help you fill out all the forms, plan your travel, and make sure you get all the necessary shots and health checks. They also offer door-to-door service but that’ll cost you around 3,000(USD) including the flight, but it'll depend on where you're going. The trick is making sure you go with someone who knows what they are doing. Not all Pet Relocation agencies have expertise in China (or guanxi), so make sure you find one that does. PAWS Veterinary Clinic recommends Worldcare Pet Transport. You can email them with your situation and they’ll give you a quote and a breakdown of what they’ll be providing. There you have it folks. Now you know how to take your dog or cat back home. But, wait, what about other pets? The word on the street is you can only bring dogs and cats in and out of China. We were a bit surprised to hear this, so we gave the Shanghai Entry-Exit Inspection and Quarantine Bureau a call, and they confirmed it. That’s not bad advice. Getting your pet out of China is pretty difficult, so if you’re planning on coming back to Shanghai, it might just be easier to find someone to take care of your pet for you, bird or not. On the other hand, thousands of people do go home with their dogs and cats from China, and many do it on their own with the information we’ve just provided you. But if you do have a beloved parrot that you want to take back to the native land, well… that might just be a job for the pros. Thank you for this XZ Palmer and smart shanghai!!! This article is great! really clear and precise compared to the messy info you get online! I just have one question, I need to bring my two cats to Italy from Beijing, do you know about a reliable Beijing equivalent of Shenpu Hospital to do the rabies and blood test? Until now I only came across companies that charge you 6000-8000 rmb for these services! I would be very very thankful to whoever has an answer! wow this was a really clear and detailed article. Thanks!!! SCAA website offers better - more country specific advise. The EU, whilst having no quarantine on arrival, is a lot more restricted on the airlines you can use, and how they can arrive. It would be great to hear some stories of people who have taken their pets to countries that aren't as not bothered as the US - I couldn't just have my cat in the cabin on a UK carrier and swan through customs! Excellent useful article. One thing to correct though: "each country has it’s own pet import requirements → "its own"
Does anybody know if Shenpu is the ONLY vet clinic available for this process? I've taken my dog to another government vet clinic in Gubei. They know what they are doing and treat your pet very nicely. I was wondering if I could go there again to get all his paperwork ready for departure. Anyone have information about bringing a dog to Shanghai and how to bypass the quarantine if coming to Shanghai from America? I have not been able to find a way to bring a dog to Shanghai without them having to attend the mandatory 2 week quarantine which kind of seems like a death sentence. Any info much appreciated. Are these rules still eligible for 2016 regulation? I'm trying to bring my three dogs (older than 90 days) to Seoul, South Korea. when going to the states be sure not to travel United, they use third party companies will charge you around 2000 usd per pet which is absurd. you do not need an agency. ANOMALOUSZEEMAN..what city did you go into in the US? Did you have any trouble obtaining the necessary paperwork, shots and chip? Great advice, thank you. But... I am in Beijing. Anyone know the BJ equivalent of the Shenpu Hospital? Also... you capchas are too hard to read... trying this for the 3rd time. My dog has 3 months left on the rabies shot, is there a maximum number of days that it has to be valid from? The article mentioned that the vaccine must be given 30+days before departure. Is my dog alright, or do I need to get another one done? I had the same experience, no one seemed to care at customs, US customs didn't even care to see my papers for my cat -- seemed only issue at the airport check-in kiosk tbh. Question for those that have had cats and dogs vaccinated at Shenpu, does anyone know if the rabies vaccination is for 1 year or 3 years? And has anyone else had issue scanning the microchip? I just recently brought my cat to a vet in America for the first time, and the tag wouldn't scan, and I couldn't give my a cat a rabies vaccination because I didn't know if the rabies vaccine was for the 1 year or the 3 year!